Microscopic & aerial views - textures & unexpected takes as well as new ways of seeing life. Come and join me for my first solo exhibition at the Goodwin House of Alexandria! 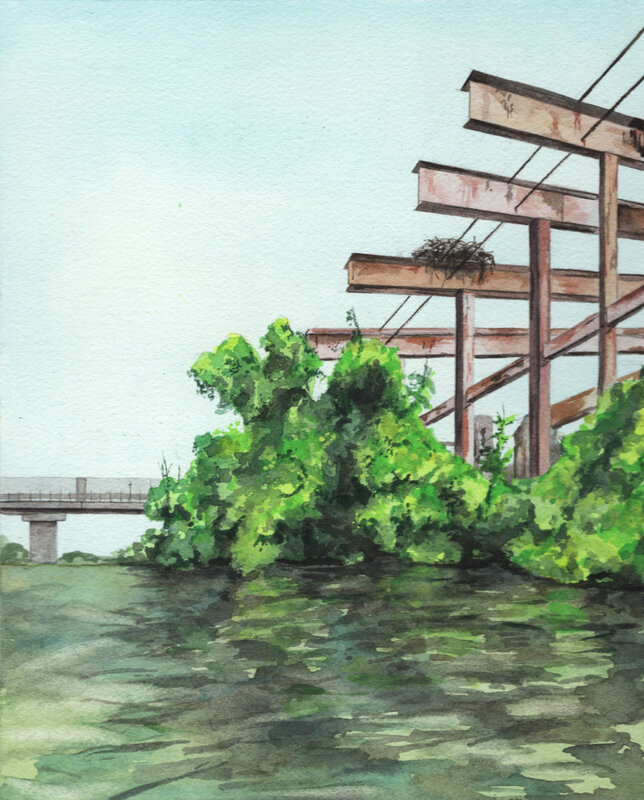 13 watercolor illustrations will be on display. Light refreshments will be served. My Airplant Abstracts watercolor series will be exhibited in the Quietly Powerful group show at Sense Gallery in DC. The Exhibit wiil be on display from March 3rd, 2019 - April 5th, 2019. I will have 2 pieces on display, Southeast Asian Stream Biotope and Wild Turkey illustrations, at the Creative Art Exchange in Washington, North Carolina.